Are you excited for Super Bowl Sunday? 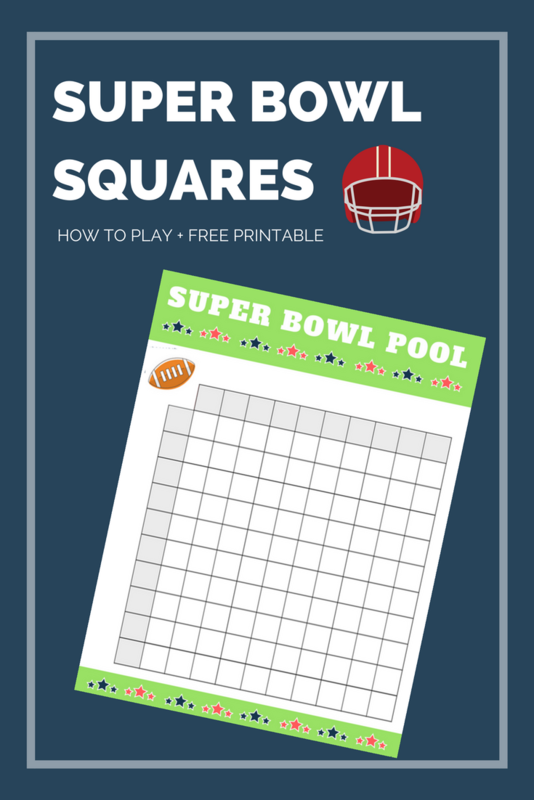 Whether you’re hosting a get-together in your apartment or headed out to the bar with friends, betting on boxes in a game of Football Squares is a Super Bowl Sunday favorite! So, if you’re looking to engage in a little friendly wager during the big game, you’re in luck. 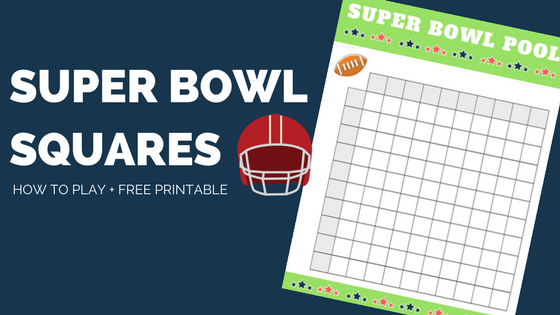 We’ve created a convenient printable to help you and your friends play Super Bowl Squares. Below you’ll find a Super Bowl Pool printable suitable for making box bets during Sunday’s game. Not sure how to play? Keep reading. We’ll explain the rules too. 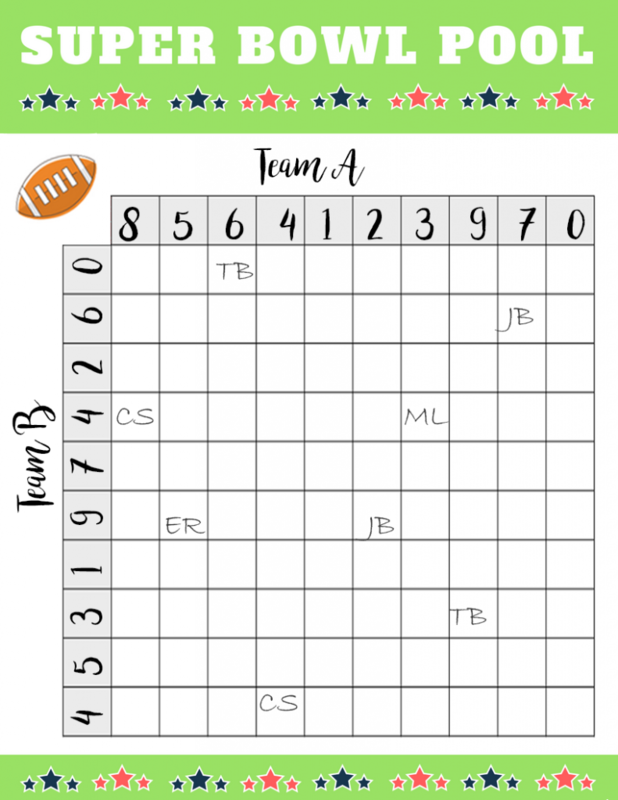 Print out the pool above and fill in the grid by writing in the team names on the top and side left. Have your friends, family, guests, etc. purchase the white squares. You can sell each box for a $1, $5, or however much you wish. You’ll have 100 boxes up for grabs in total. When someone purchases one, have them write their name or initials in that square. Then, fill in the gray boxes by randomly writing numbers 0-9 across the top and then again in a different arrangement up the left. You can use a number generator to make it fair. A winner will be determined at the end of the 1st quarter, 2nd quarter, 3rd quarter, and Final Game score and the cash should be divided up accordingly for each. 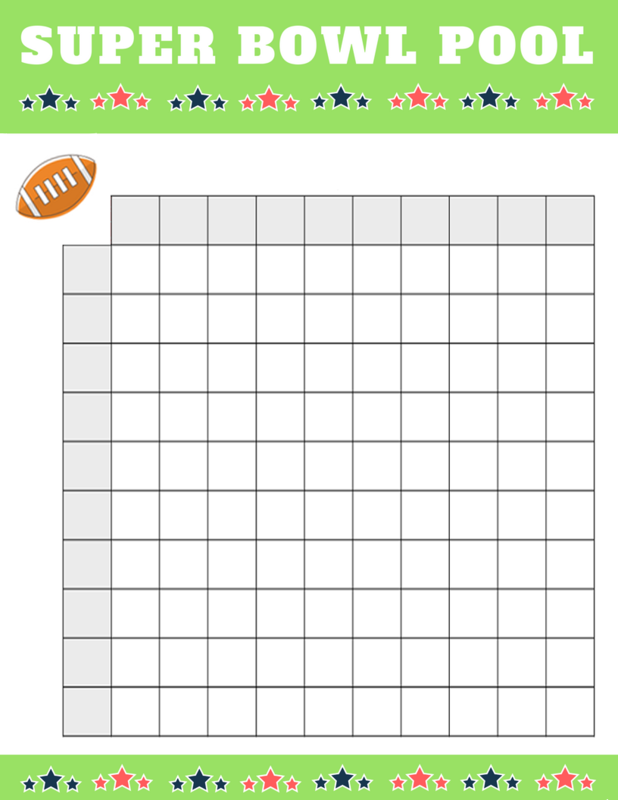 The winner is determined by looking at the last number in each teams’ score, and then matching those numbers on the grid and seeing which square intersects those two numbers. Example: Team A scored 23 at halftime and Team B 14. The last number in Team A’s score is 9, and the last number for Team B is 3. 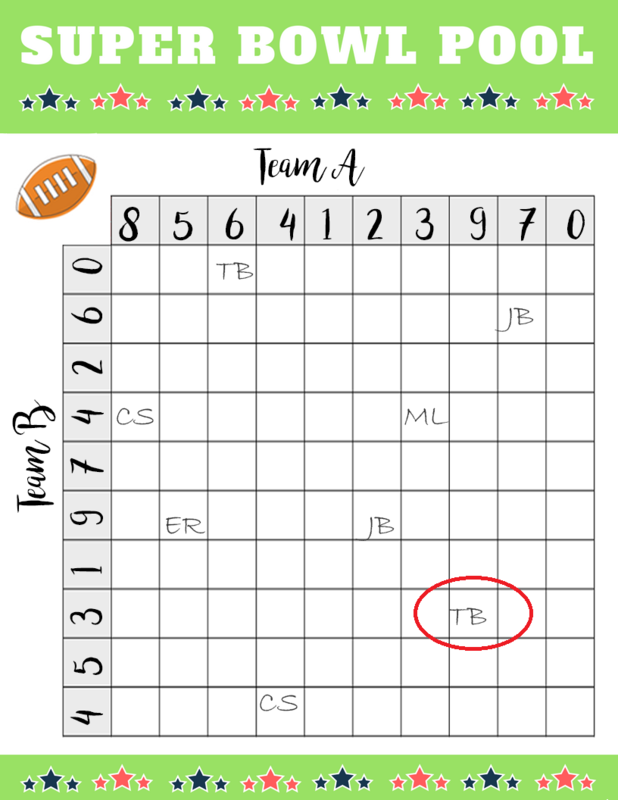 The square on the grid that has Team A with a number of 9 and Team B with 3 would be the winner of that round. Reminder, the Super Bowl will be held on Sunday, February 3, 2019. Tune in to watch the New England Patriots take on the Los Angelas Rams. We at Hirschfeld Apartments in Maryland hope you get the time to sit back, relax and enjoy the football game. Maybe even win some money too! Don’t forget to print your copy above and please avoid gambling irresponsibly. Also, feel free to use the social media icons at the top of this page to share this printable with others.